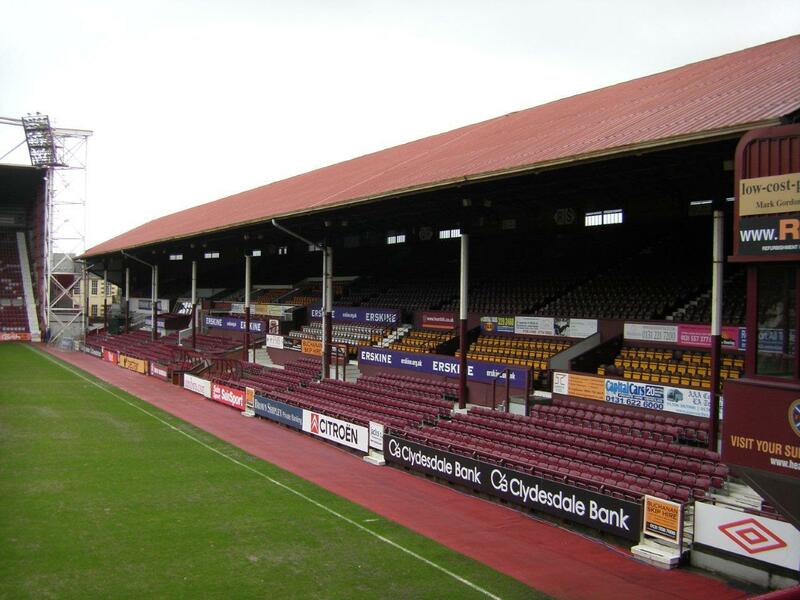 Hard to believe, but the oldest constantly standing venue in Scotland was once called new. 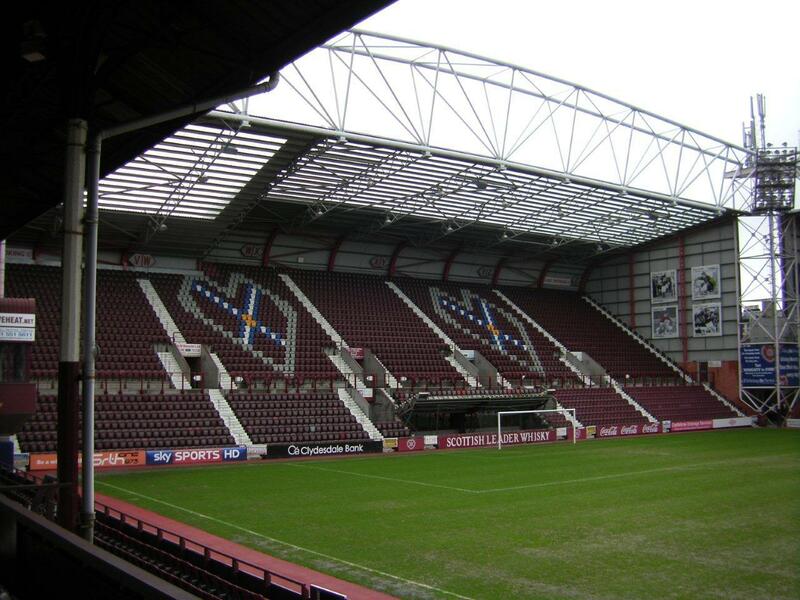 That was in 1886, when Hearts moved from their previous pitch. 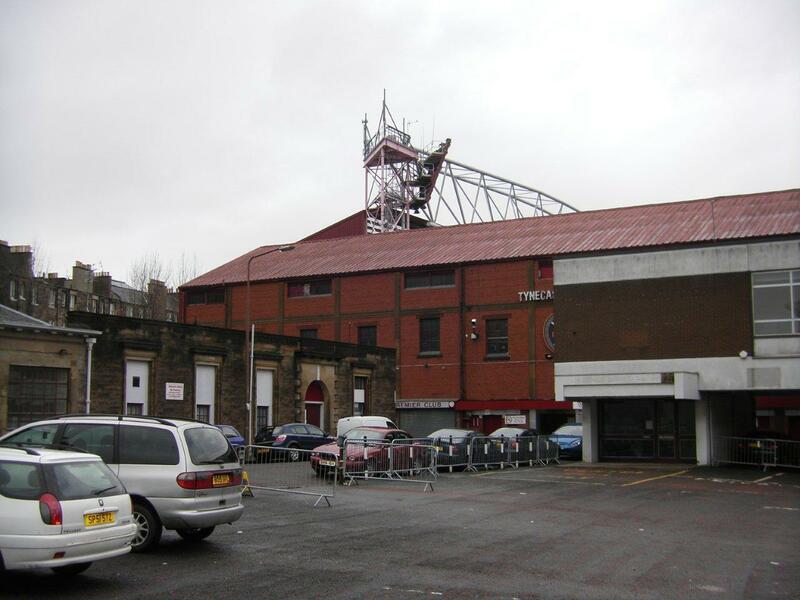 First revamps came in 1892, 1903 and 1911, but the most important one was done in 1914 with the main grandstand designed by famous Archibald Leitch was opened. 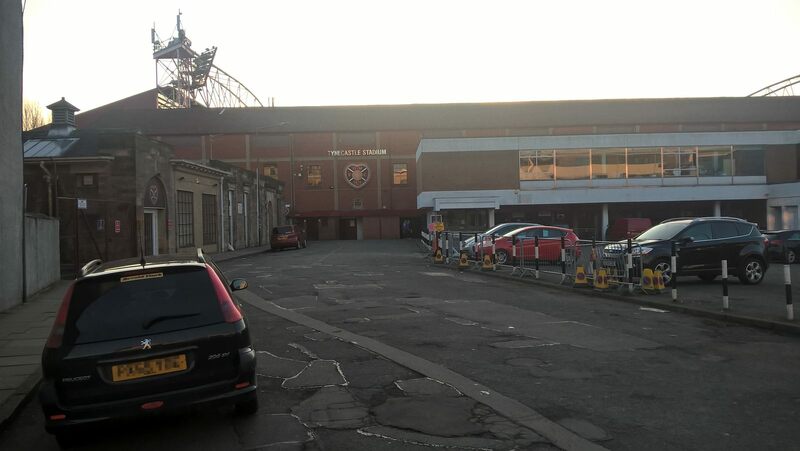 It stands today nearly unchanged, or at least visually. 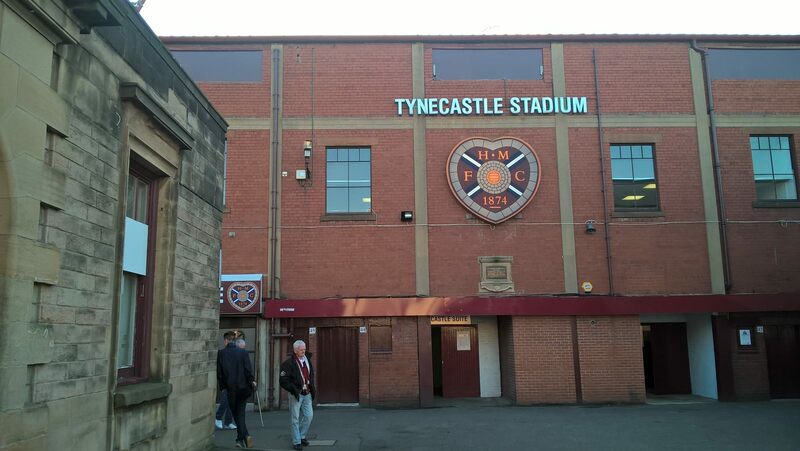 In 1930’s Hearts were becoming strong and stable financially. 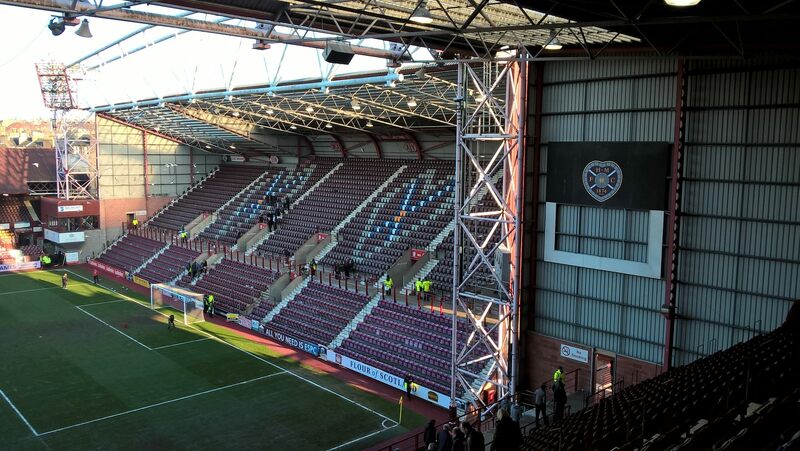 A proof of that was all-time attendance record set in 1932 against Rangers . 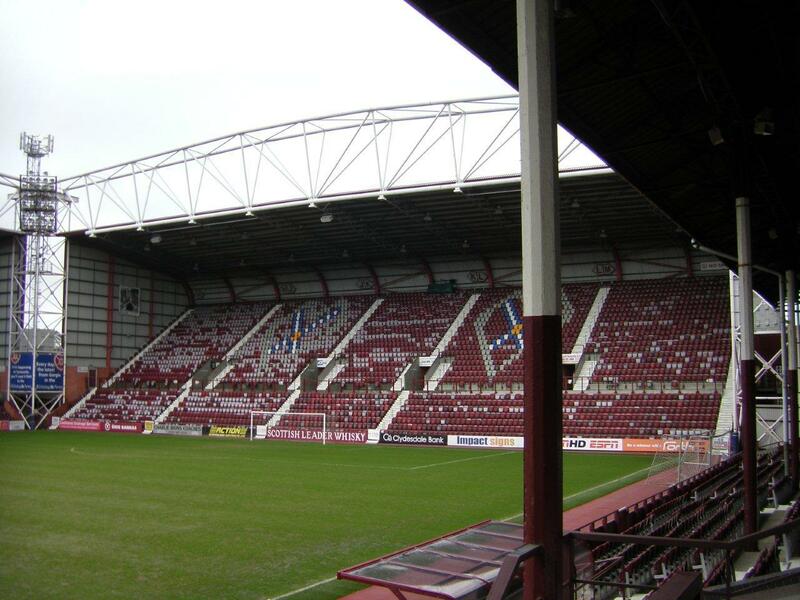 The club even though of moving to a new ground with the idea being dropped due to WWII breakout in 1939. 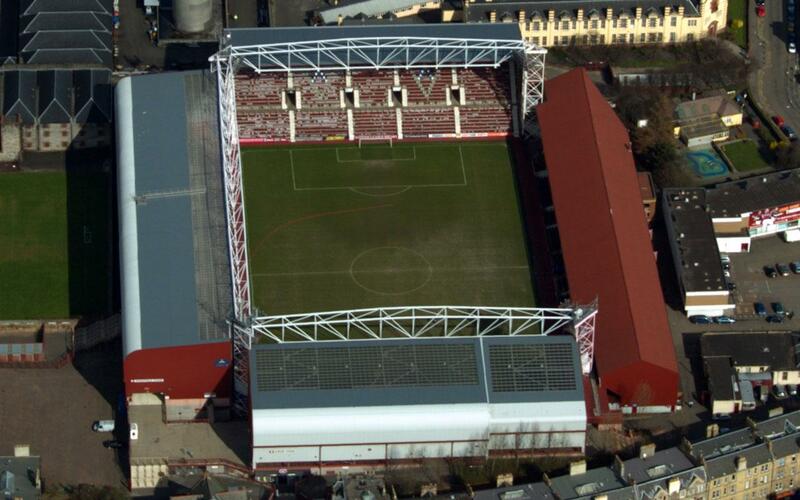 Interestingly, the club were considering Sighthill district, then a suburb. 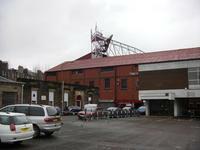 The same location was revealed as a desired location in 2011, when the concept of changing venues came back. 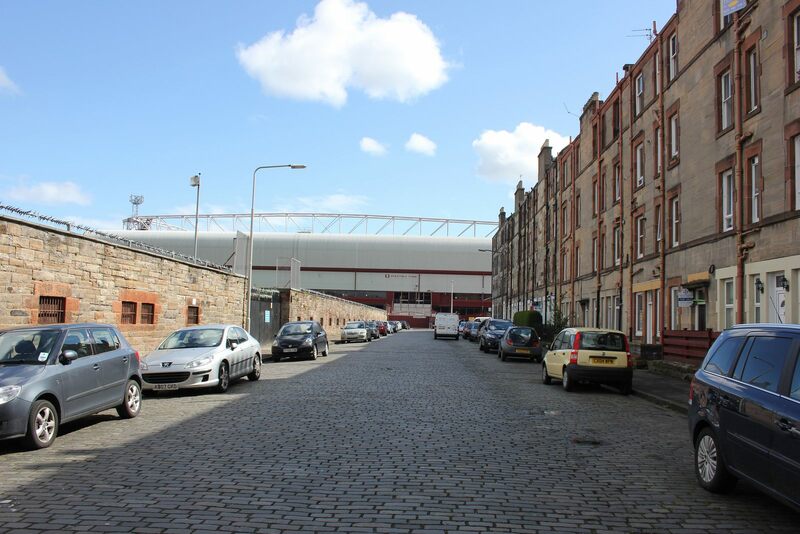 Two tragedies – at Ibrox (1971) and Hillsborough (1989) – made crucial impact on how the ground looks now. 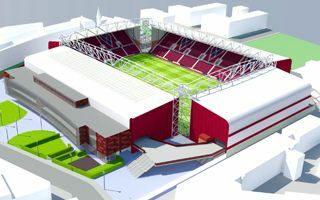 After the first one capacity was decreased from 49,000 to 30,000. 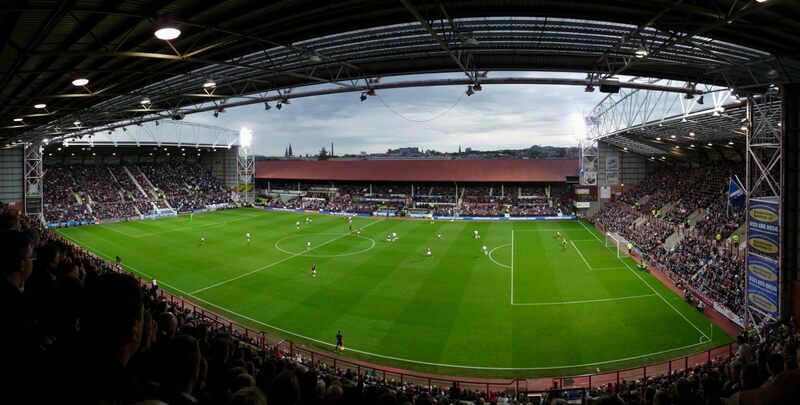 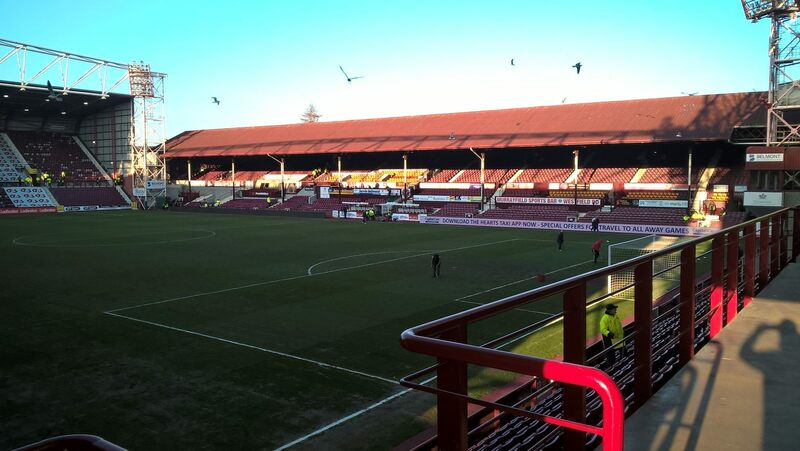 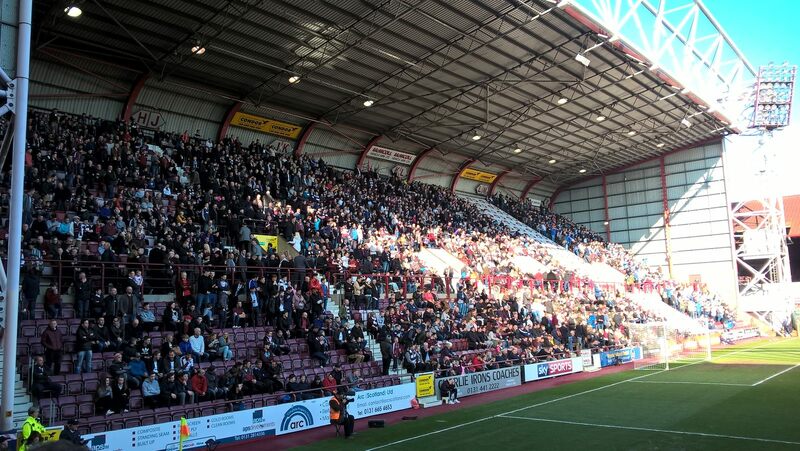 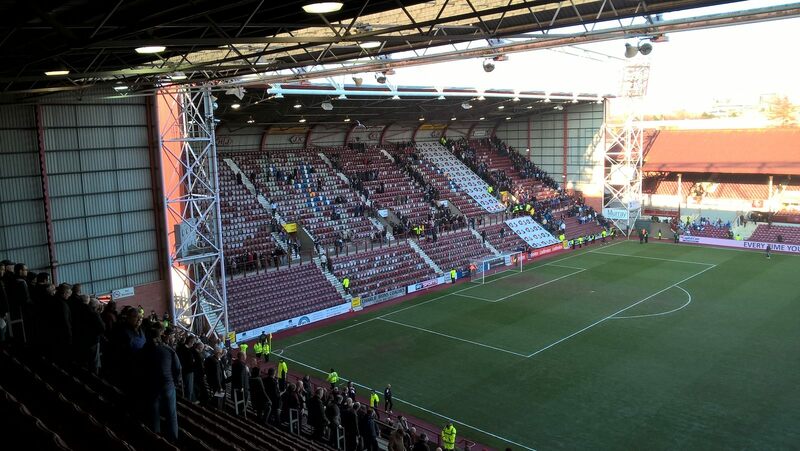 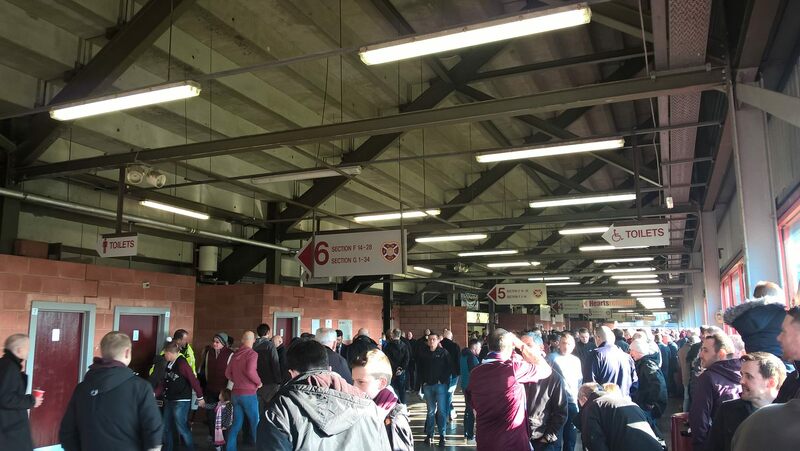 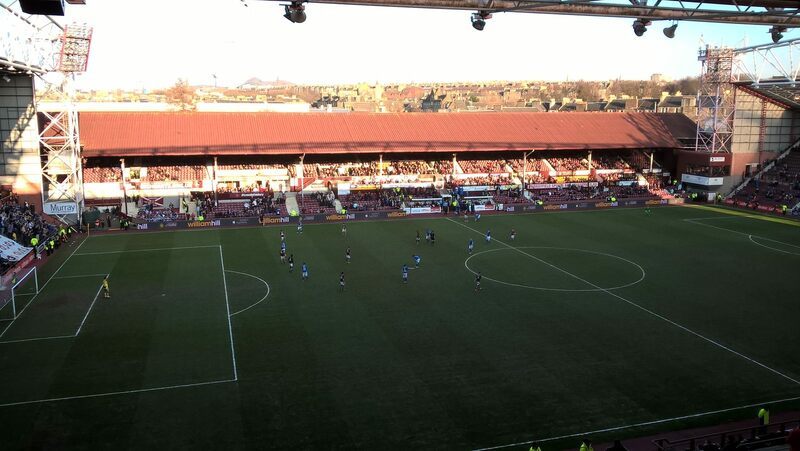 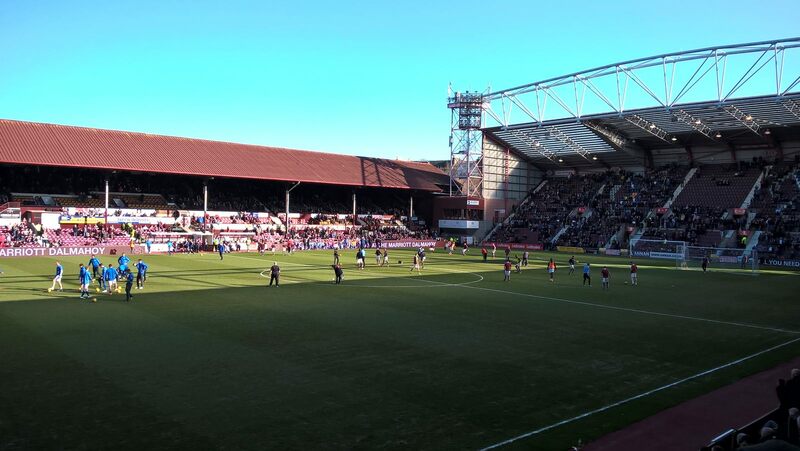 The second with new safety rules again made Tynecastle smaller, this time leaving capacity at some 18,000. 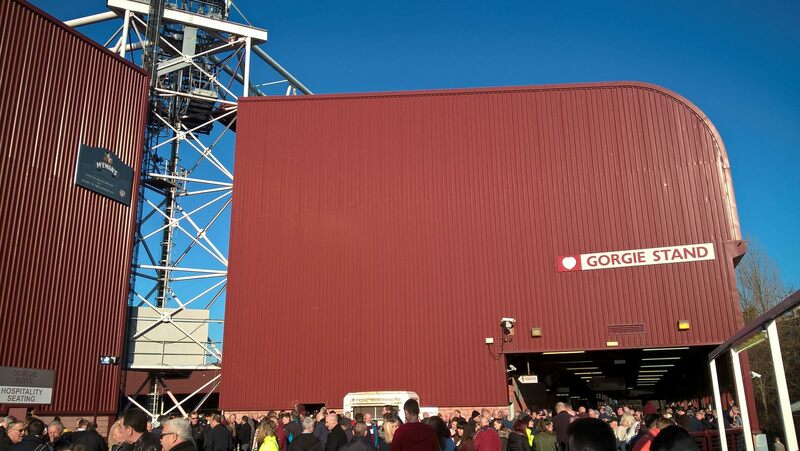 Ironically, new stands erected after Hillsborough were made of steel, while in 1954 the stadium was the first one in Scotland to have all stands made from concrete. 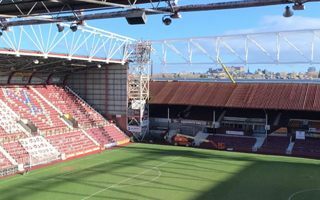 Final fourth modern grandstand, only one not to be erected in 1990s, finally came in 2016-17, replacing the almost century-old east stand. 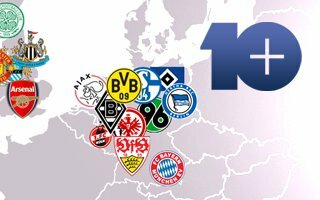 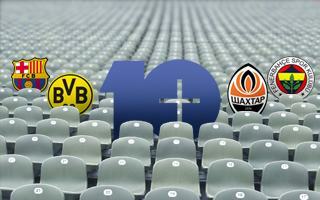 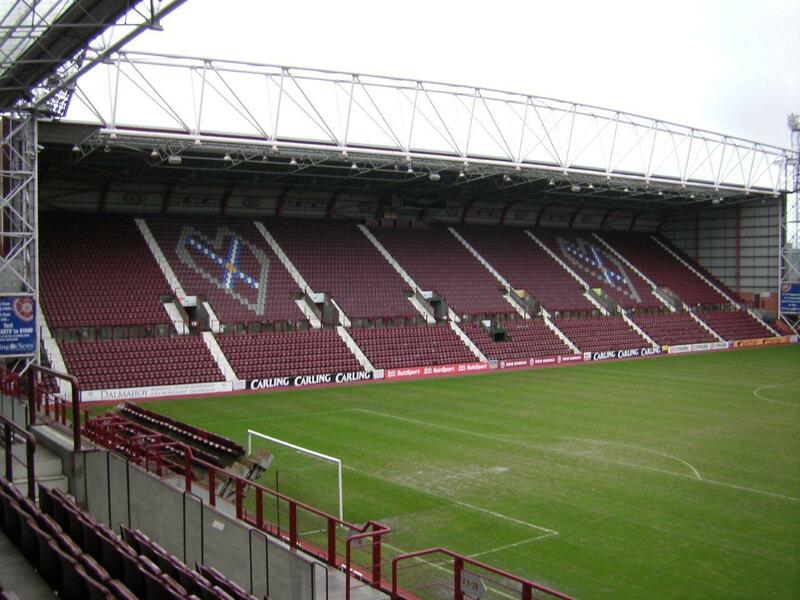 For the first time since converting into an all-seater the stadium went beyond 20,000 in terms of capacity. 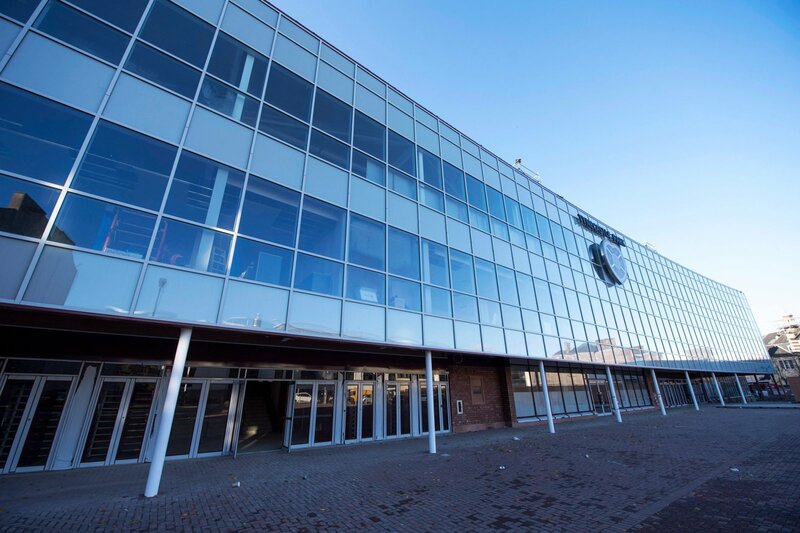 Behind the auditorium three levels of floor space were created, housing new club offices, store and ticket sales. 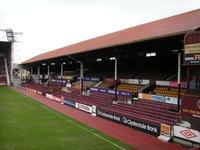 Changes can be noticed almost by the day with their great pace. 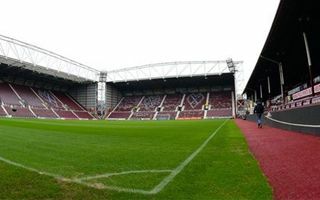 The biggest one awaits Hearts supporters in September, when their stadium will finally be equipped with a large, modern main stand. 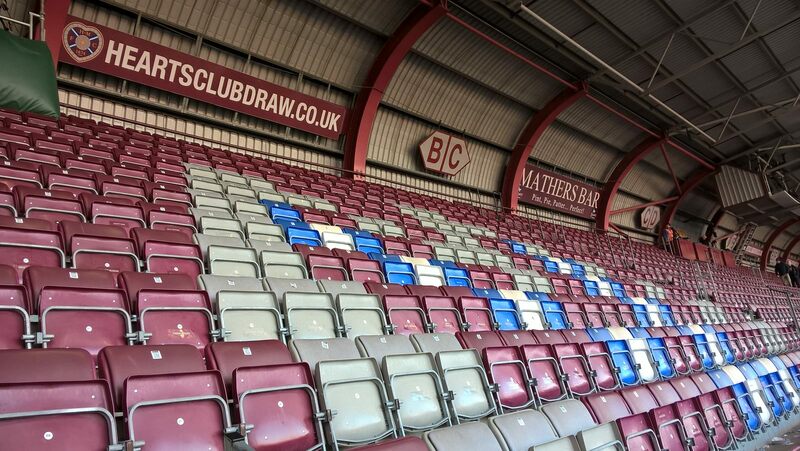 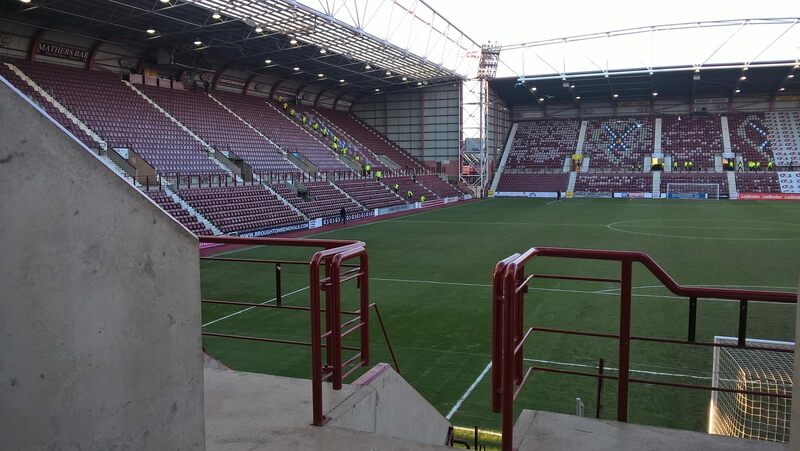 Hearts are considering the introduction of a safe standing section at Tynecastle. 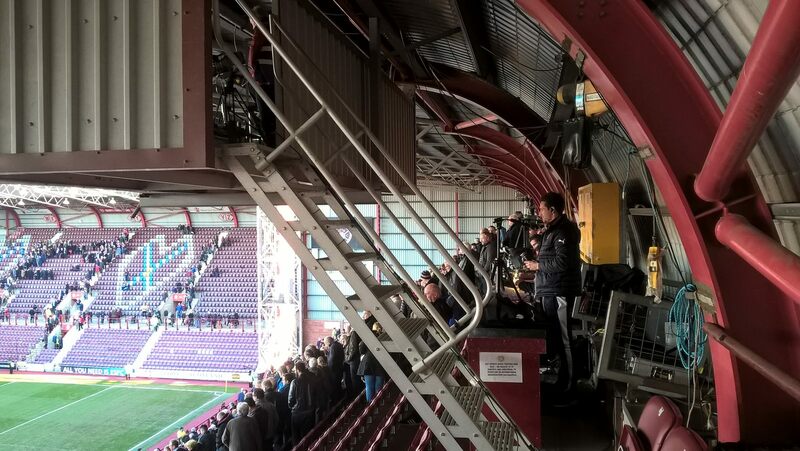 The news follows analysis of how such section is working out for Celtic. 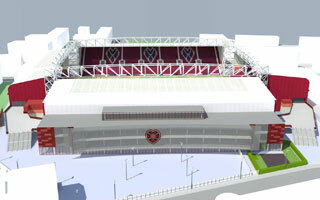 Hearts’ plans to redevelop the main stand at Tynecastle have been approved by Edinburgh City Council. 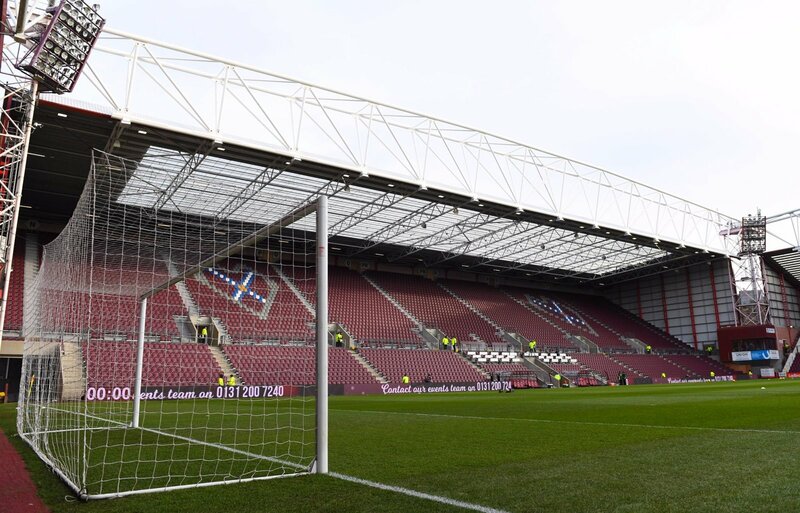 Report by BBC.com. 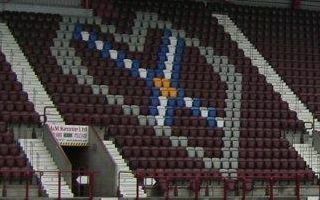 Heart of Midlothian owner Anne Budge assured supporters the club already has over 50% of the required budget for Tynecastle expansion scheme. 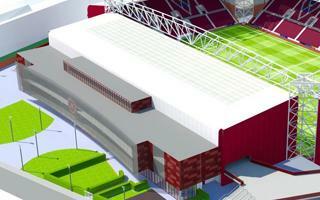 She also revealed projected price of the operation. 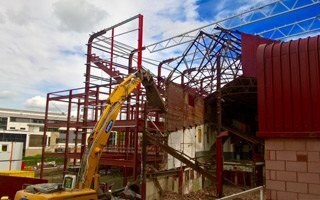 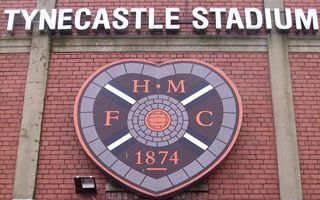 Hearts have moved a step closer to the construction of a new main stand at Tynecastle Stadium after submitting a pre-application notice to the City of Edinburgh Council. 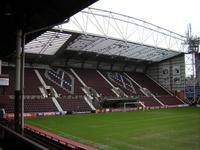 24.06.2013 Scotland: Whisky vats impeding Tynecastle revamp plans? 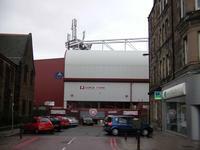 Hearts are in administration and could consider selling Tynecastle for redevelopment to stay afloat. 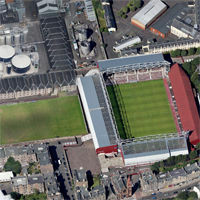 However, the stadium is placed in 'hazard zone', which makes potential sale more difficult, according to Daily Record.